There's still two months to go before the production 2011 Audi A1 is finally scheduled to get its internet close-up ahead of its public debut at the Geneva Motor Show, and the hype machine is already in full swing. No wonder, really, considering how much the Mini line - which, along with the reborn Fiat 500, Audi is obviously targeting with the little A1 - and its excellent advertising campaigns have impacted the public psyche. One very large question remains, though: Will Audi sell the A1 in the States? We've heard from Audi's head of sales Peter Schwarzenbauer multiple times that the car was designed with the U.S. market in mind, but today we see a conflicting report from Inside Line quoting an unnamed Audi insider. The decision on whether or not the A1 makes the trek to America may well depend on its ability to make money at Mini's established price points and how strongly Audi believes that U.S. buyers have signaled their willingness to spend premium bucks on small cars. We'll see. 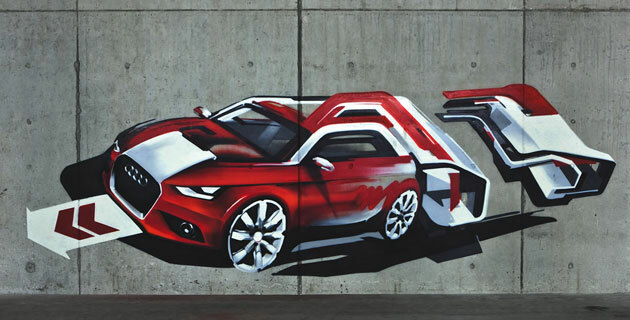 REPORT: 2011 Audi A1 not coming to the States originally appeared on Autoblog Green on Tue, 15 Dec 2009 15:53:00 EST. Please see our terms for use of feeds. 0 comments on "REPORT: 2011 Audi A1 not coming to the States"
Add your comment. Please don't spam!